Learn More About How Our OKC Fence Company Can Supply Your Commercial Fence Supply Needs! Our Fence Supply Company, Acme Fence of OKC Inc. is located at 2451 W Reno Ave in Oklahoma City, OK 73107. We are the premier commercial and residential fencing supply company in the state of Oklahoma. Acme Fence can also supply you with residential fencing materials, dog pens, as well as a variety of custom gates. 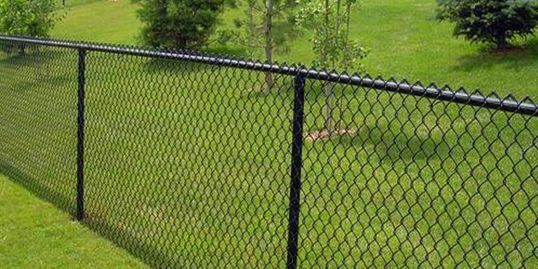 Call our commercial and residential fence supply experts today for more information! Acme Fence in OKC is looking forward to giving you the outstanding customer service that you deserve, while supplying you with commercial and residential fencing. The team at our commercial fence supply company is proud to serve Edmond, Oklahoma City, Moore, Norman, Yukon, Del City, Midwest City, Spencer, Harrah, Piedmont, Mustang, Newcastle, Lawton, Tulsa, El Reno, Elk City, Duncan, Shawnee, Weatherford, Ponca City and the surrounding state.